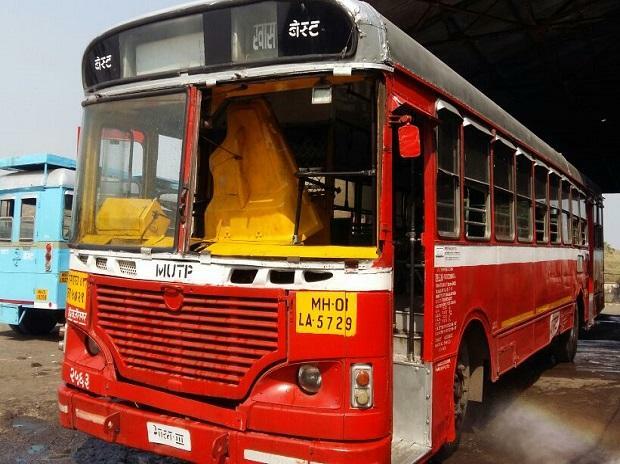 In an unfavourable development for Mumbai's nearly 25-lakh daily bus commuters, the deadlock between BEST workers' union and the Maharashtra government entered eighth day on Tuesday, with both sides failing to reach an agreement before the Bombay High Court to end the stir. The high court on Monday said it would pass appropriate orders on Tuesday on the BEST bus strike if the union and state authorities failed to end the deadlock, adding that "things cannot continue as they are". The high court bench also directed the high power committee, constituted by the Maharashtra government last week to negotiate with the striking union, to submit a report in a sealed cover clarifying its views on some of the urgent demands of the union. The BEST has a fleet of over 3,200-red-colour buses and also operates in the neighbouring Thane district and Navi Mumbai. It is the second-biggest mode of transport in Mumbai after local trains, which ferry over 80-lakh passengers every day. With its employees having gone on strike, the cash-strapped BEST is likely to face a loss of Rs 3 crore per day. -- Shashank Rao, leader of the BEST Workers' Union, which has called the strike, alleged that the transport body's administration showed a lackadaisical approach in resolving the stalemate and that the employees had no option but to go on strike. -- A meeting between Brihanmumbai Municipal Commissioner Ajoy Mehta and leaders of the workers' union that has called the strike failed to arrive at a positive result. -- Meanwhile, the Central Railway, Western Railway and the Maharashtra State Road Transport Corporation (MSRTC) were operating extra local trains and buses to ferry the stranded passengers to their destinations. -- BEST general manager Surendra Kumar Bagde said the administration was again and again appealing to the employees to resume duty. -- On Thursday, the Bombay High Court issued notices to the state government, BMC and the BEST Workers' Union over a PIL against the ongoing strike. -- Shiv Sena president Uddhav Thackeray, whose party controls BMC, met the BEST union leaders in the presence of Mayor Vishwanath Mahadeshwar, municipal commissioner Ajoy Mehta and the BEST commissioner Surendra Kumar Bagde at the Mayor's bungalow on Thursday. The negotiations went on for nearly seven hours but failed to break the deadlock. -- The Bombay High Court on Friday asked the BEST Workers' Union to "take the first step" towards resolving its dispute with the state and BMC and end the civic bus service employees' strike. The court also asked the union to hold a meeting of its office-bearers in the evening in a bid to break the stalemate. The Chief Justice-led bench noted that as the authorities had already constituted a committee and were willing to resolve the matter, the union must now make efforts to end the deadlock. -- The meeting chaired by Maharashtra chief secretary on Saturday between striking unions and the management of the civic-run transport undertaking failed to break the impasse. -- The strike entered its sixth day on Sunday, Shiv Sena chief Uddhav Thackeray said his party will fulfil its promise to merge the budget of the transport undertaking with that of the BMC. -- On Monday, Maharashtra Chief Minister Devendra Fadnavis spoke over phone with Shiv Sena chief Uddhav Thackeray to find a solution to the bus stir. -- Activists of the MNS on Monday disrupted ongoing works for the Coastal Road and Metro 3 projects to express solidarity with striking workers of BEST. -- A group MNS workers briefly stopped the Coastal Road project work in Worli, while a similar protest stalled the Metro-III work in the Aarey Colony near suburban Goregaon for the entire day. The Raj Thackeray-led party was left red-faced when some of its workers halted the buses run by the Navi Mumbai Municipal Transport (NMMT) near suburban Chembur in east Mumbai, and forced passengers to get down.